It is only 4.9 (8K) miles long and 1800’ (550m) climb but if you can have a short classic race, this is a contender and one I can wholeheartedly recommend. After a long wait to set off on our way to Dunnerdale, Paul finally turns up full off beans and grins! Texting who’d have it! We have a fantastic drive to Broughton in Furness, the sun is shining!! I think it’s the first time I will have run this race in such glorious weather and be able to see the whole route!! I then I start to worry that I’ll get lost! It’s easy to take the wrong line when concentrating on moving fast and not watching where you are going! Parking is a bit of a pain for this race as it uses the access lane to the Hamlet but the marshals guide us into a spot easily enough, it’s then a short walk to registration in the hall. After we register it’s time to check out the competition. Familiar faces are all about, the ever smiling John Leech and the ever enthusiastic Vicky Kirkwood, but, I want to see if my main rivals are here, to my dismay and delight (honest) they are, Sean Robinson, Howgill and Shaun Addison, Helm Hill, looks like it’ll be a race then. After we have been set off I see the 2 Sean’s are behind me, have I set off too fast? 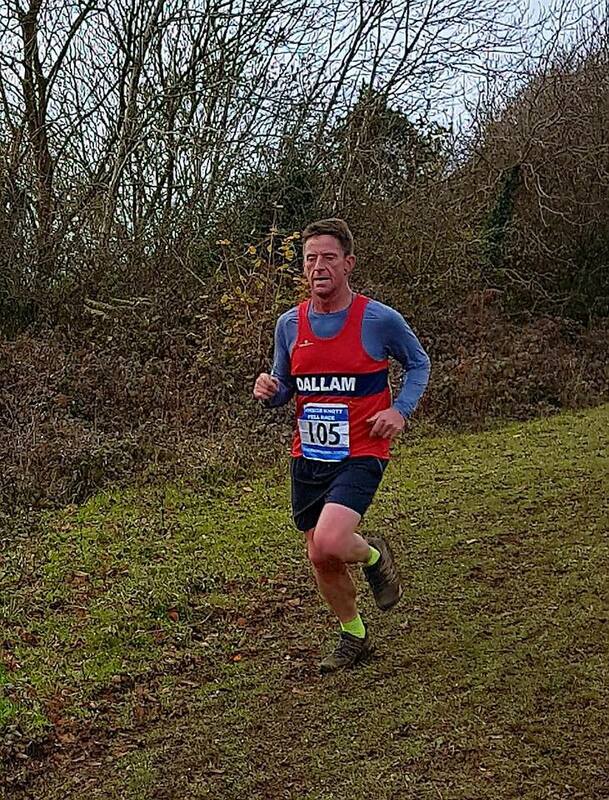 The first two thirds of a mile are on the road, its fast and after an initial downhill, it’s up, up ,up at a pace that doesn’t suit many fell runners, me especially. Then it’s on to the fells, a lung busting leg burning first ascent, I can ‘feel’ the 2 Sean’s breathing down my neck, mind games take over and I push harder. The top of the Knott passes in a blur and the fast section to Ravens crag is over in what feels like seconds, it’s then another slightly less steep ascent and again a fast descent to the road crossing and up to Stickle Pike, legs burning and chest heaving I risk a quick look behind, no Sean’s!! I feel invigorated and this adds momentum to my ascent, for a least 30 seconds!!. Coming off Stickle Pike is steep, for only a short way, then it’s fast to Great Stickle, choosing the right route here will be important as you can easily loose places and time, fortunately I choose the easier (slightly longer) route and extend my lead over the runner behind. The descent off Great Stickle is fast, very fast, you need to keep your wits about you on this section with slippery bracken and boulders lying in wait to catch out the over confident. From the bottom it is along a track down though a woods back onto the road up to the finish. It’s nice to beat your rivals (however it happens) and joke about it afterwards, this is the essence of fell running, great competition, great camaraderie and a great pub!!! 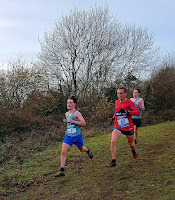 Kirkby Moor on Sunday 26th Nov. Dallam was represented by myself and Steve Jeffs with John Leech cheering us on. He'd intended to run but The Full Tour of Pendle had caught up with him and he decided against it. I'm 5/6 WV40, Steve 16/17 M50. 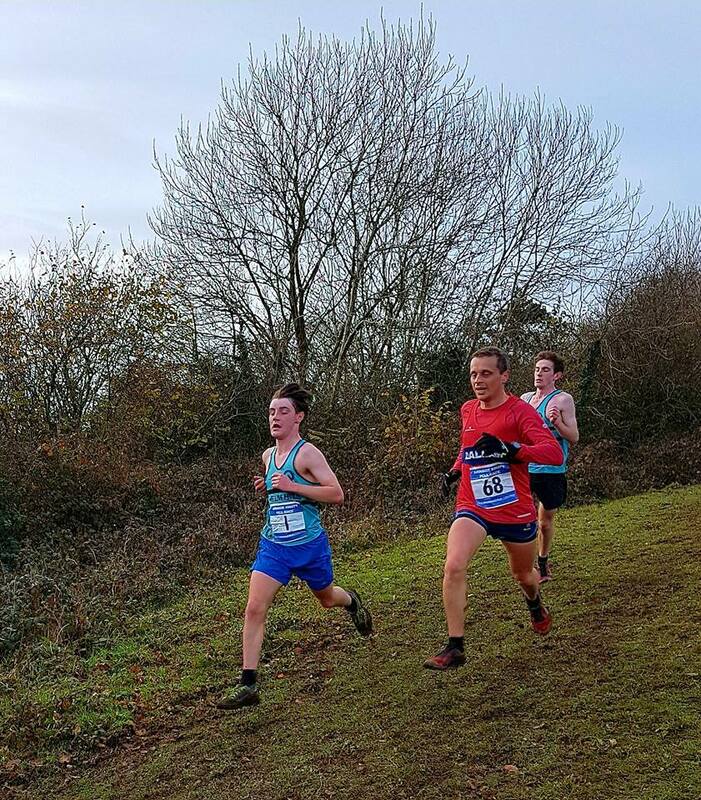 Lynne Murray who is Debbie's cousin was 2nd in her age category and won the Bob Grieve Trophy [the fastest over all 4 Black Combe races]. It was a grand day out, sunshine, wind, hail [sideways stinging your face], rain and sleet over a very runnable course. Cake and tea afterwards. 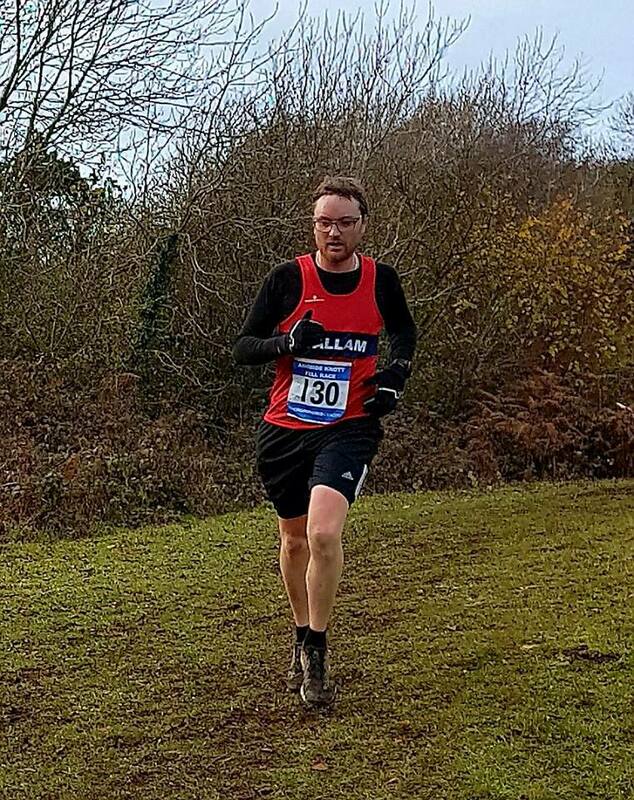 This was my 36th race of 2018, I think Ambleside has been the one I enjoyed the most, Cautley Horseshoe the hardest. Cracking little race this, well worth the effort of going.